The beloved Masaru Emoto, world-renowned water researcher, scientist and author of the best-selling books Messages from Water and The Hidden Messages in Water, passed just a few days ago. 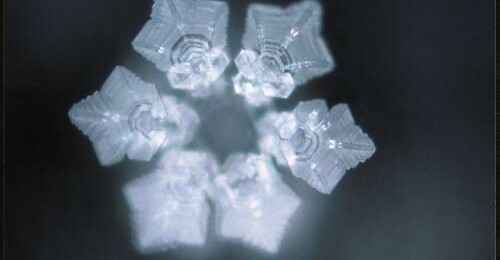 If you are unfamiliar with Dr. Emoto's work, he most famously used frozen water crystals to give us a unique and powerful perspective of how influential music, thoughts, words, and intentions are to our everyday wellbeing and quality of life. In honor of this great teacher and visionary for peace, I wanted to share this beautiful “snowflake” and word montage. Set to gorgeous music composed by Anthony Raijekov, the video shows images of crystalized water after exposure to affirmations, music, negative words, holy and evil figures, a child (I melted), and prayer. These images and others found on his website specifically show how music from Beethoven, Bach, Motzart, and songs like Amazing Grace, Imagine, Edelwise and Yesterday shifted frozen water molecules into beautiful, magical, ethereal snowflakes. It gets right in there and stirs up every bit of hope, love, belief, faith and passion in my heart. You can see more of his work and other crystal water transformations here. Dr. Emoto, you’ve changed our way of thinking and have opened our hearts and minds forever. You will truly be missed.